Years of experience designing interiors has taught me one truth: every home has a story, and that story starts with the client. It’s this truth that has guided every project at Denise Morrison Interiors. We are a full-service residential design firm specializing in custom construction builds through final furnishings in Orange County, Los Angeles, and Palm Desert. We listen, and then design, collaborating with our client at every step. We do this because it consistently carries us to our goal: an artfully-designed, authentically-crafted home that is truly unique to our client and their story. In 2017, we opened our first retail store, House of Morrison. I and my team of mindful designers hand-select pieces of the highest quality, craftsmanship, and history for your home. Our goal is to create a boutique-style shopping experience like no other. Orange County's Trusted Residential Remodeling Experts -Best of Houzz! SH interiors specializes in creating spaces designed with our clients' tastes in mind. We truly enjoy the collaboration process and our end goal is to give our clients a unique and beautiful space that is designed specifically for them and their lifestyle. We offer a full range of architectural interior design services, design-build and exterior hard-scape services in the Los Angeles area. Whether you require a complete house remodel or something as simple as a few new furniture pieces and a fresh coat of paint, Stephanie Hatten can translate your vision of a harmonious space into a well-designed reality that can accommodate virtually any budget. If you're interested in learning more, say hello and we will send you detailed information about how we work and our process. We are proud to be featured on HGTV & DIY network. 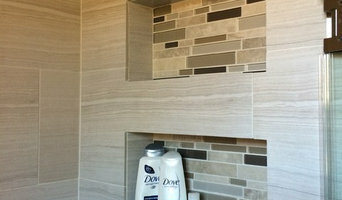 Check out our work on Houzz. 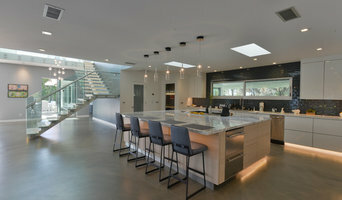 Orange County's Premier Architecture Firm | Best of Houzz! Partnered with B & R Creative Builders, Inc, a licensed and bonded construction and remodeling company, JAC Interiors is a full service design build firm. We oversee interior design, landscape, development and construction of custom homes and commercial arenas. We are known for our fresh, sophisticated and unpretentious style, specializing in combining eclectic pieces and materials with a modern aesthetic to create spaces that are timeless and personal for each client. The JAC team will guide you through every aspect of design, inside and out. From concept to completion, our clients receive outstanding service and value. You can expect the design process to be collaborative and fun. We won’t just transform your space, we will define and create your own personal style. Let us make your home your story. Orange County's Leading General Contractor | Best of Houzz 2018! 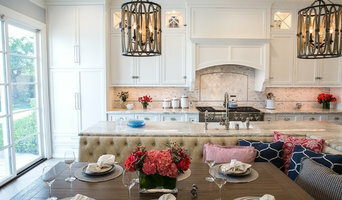 Lisa Bell Design Group is an interior design studio in Southern California. Run by Lisa Bell, a Certified Interior Designer and her dedicated staff, Lisa Bell Design Group creates elegant and inspiring interiors for a discerning global clientele. Lisa's fresh approach combined with international creative influences have shaped her design style, which she describes as "understated elegance that is classically inspired with a contemporary accent". Armed with this design philosophy, Lisa translates her client's tastes and personality into rooms and homes that are beautiful, harmonious & immensely functional. Backed by a discerning eye for detail, unique personal service and seamless delivery, Lisa's reputation with her clients cannot be beat. Los Angeles' Top Rated Kitchen & Bath Remodeler | 2x Best of Houzz! $1,500 Off Your Next Project! 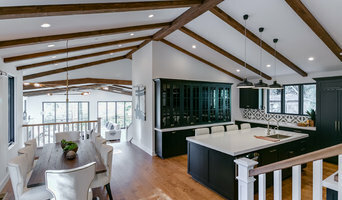 Established twenty years ago on the principles of trust, integrity and honesty, Streamline Construction Services is a successful and well-respected construction firm dedicated to custom home building and remodeling in Orange County, California. Streamline's founder and president, Jason Adams, has set his firm apart from others by providing an exceptional work product which is obvious at first glance; sterling customer service from inception of the project to delivery and unmatched warranty service. In Jason's view, client satisfaction is his highest priority and his entire team of skilled and dedicated workers share the same philosophy. Streamline's success at establishing and maintaining positive client relationships and communication is reflected in client reviews -- they are numerous and stellar! When a client signs on with Streamline Construction they not only get the home of their dreams but an unparalleled experience in client satisfaction. It's that simple! Orange County Design-Build Firms Best of Houzz 2015! Soko Interior Design is a full-service design firm specializing in helping busy couples and families achieve beautiful modern spaces that are comfortable for everyday living. Through in-person meetings, virtual correspondence, and proactive project management, I will help execute the vision from concept to completion. I love at the end when my clients say that their space is better than they ever imagined possible! Amber Sokolowski’s work has been featured on HGTV, Apartment Therapy, Style Me Pretty, and more. Specialties included space planning, layouts, remodels, kitchens, bathrooms, and furniture selection. Amber believes that every day is a blessing doing what she loves – creating beautiful, livable spaces for her clients.